- Lexus will offer the world&apos;s first* Digital Outer Mirrors to be equipped on a mass-produced vehicle. - The Digital Outer Mirrors show what is on the left, right and rear of the car, displaying the camera&apos;s images on a monitor inside the cabin. They provide enhanced views of the area around the car at night and in inclement weather. - The Digital Outer Mirrors offer an expanded view of the car&apos;s surrounding by augmenting the display area during turns or when backing up. - The system&apos;s small cameras result in better forward visibility (no large side mirrors to block the view) and reduction of wind noise. TOKYO, Sep, 12 2018 - (JCN Newswire) - Changing lanes is about to become a lot easier and safer because in light of Lexus' announcement today that, starting with the new ES, it will offer the world's first Digital Outer Mirrors on its vehicles. 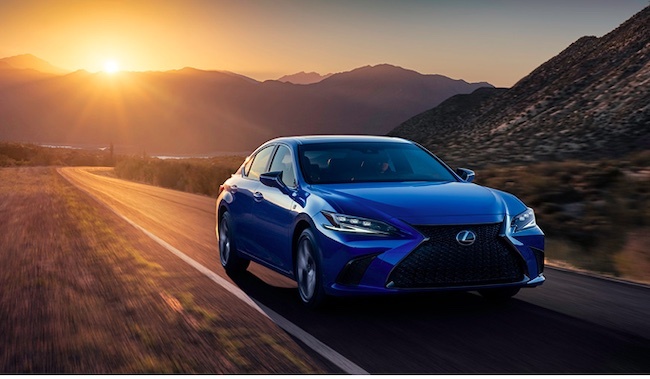 By installing small exterior cameras on the front doors, Lexus vehicles will provide its drivers with a clearer view of the vehicle's surrounding area. The cameras in the Digital Outer Mirrors transmit the images onto 5-inch display monitors located inside the cabin at the base of the front pillars. Another advantage the Digital Outer Mirrors have over their conventional counterparts is that they are shaped to resist the accumulation of raindrops and snow, leaving the driver's view unaffected. The system automatically enhances the corresponding area--left, right or behind--when the turn signals are activated, or when the transmission is put into reverse. The view of areas around the car can be manually enhanced by the driver to obtain complete peripheral awareness of the area around the vehicle. By replacing the vehicle's conventional side mirrors with small cameras, side mirrors no longer block the view outside the front windows, resulting in improved visibility. Wind noise has also been reduced, resulting in a quieter cabin.